Ombre is one of the hottest trends for decor, and adding such touches to the home decor or table settings is a great idea to make it trendier. 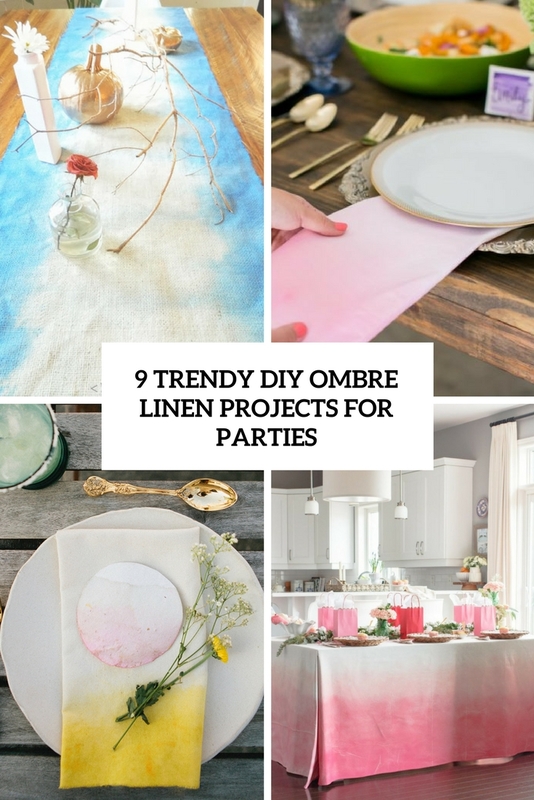 Today we’ll have a look how to spruce up your party tablescape with ombre effects – make some ombre linens in the colors that you like. Napkins, table runners and tablecloths are amazing to add a colorful touch and keep the table setting refreshed, whatever occasion and season you have. Let’s take a look at some DIYs. We are starting from a napkin tutorial – the napkin is done in the soft shades of grey that will be a nice idea for soft and ethereal spring decor. The craft is about dip dying the napkins – nothing difficult here! Achieve the shades and colors that you like and add stylish napkins to the setting to make it awesome. 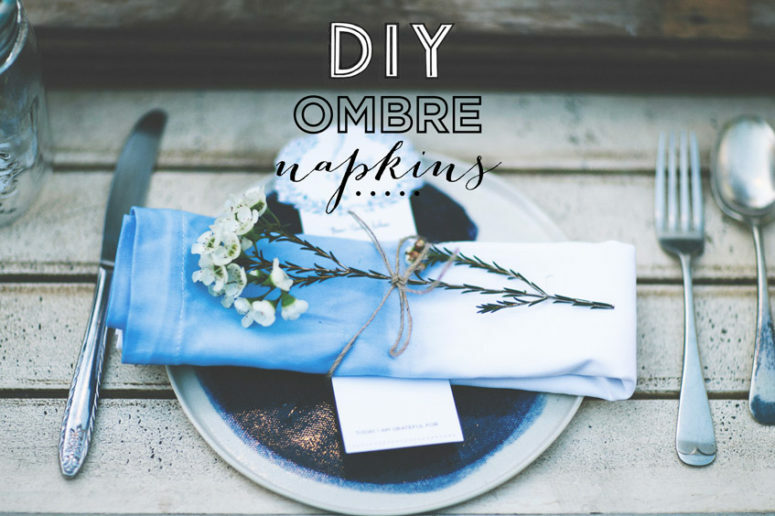 This tutorial will tell you how to make not only ombre napkins but also place cards. But no dip dying here – only painting with a real brush! Feel an artist creating a masterpiece while making these ones, choose the colors that fit your bold table setting. 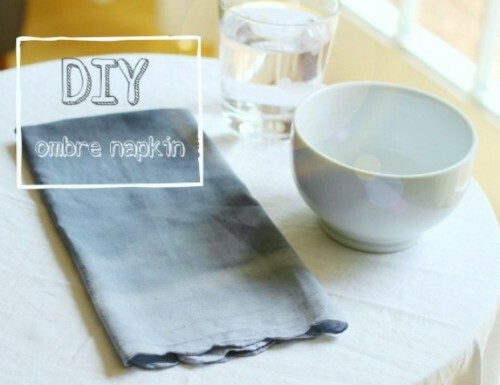 Make napkins that aren’t only trendy ombre ones but also naturally dyed! 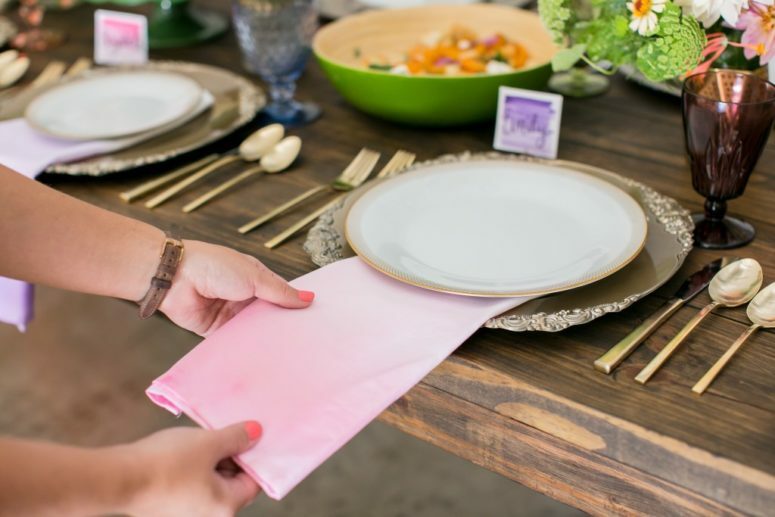 Turmeric and blueberries were used to make these napkins, and the result is pretty pink and orange – all-natural, no chemicals! Achieve as intense colors as you need and try to use other natural dyers for other shades. 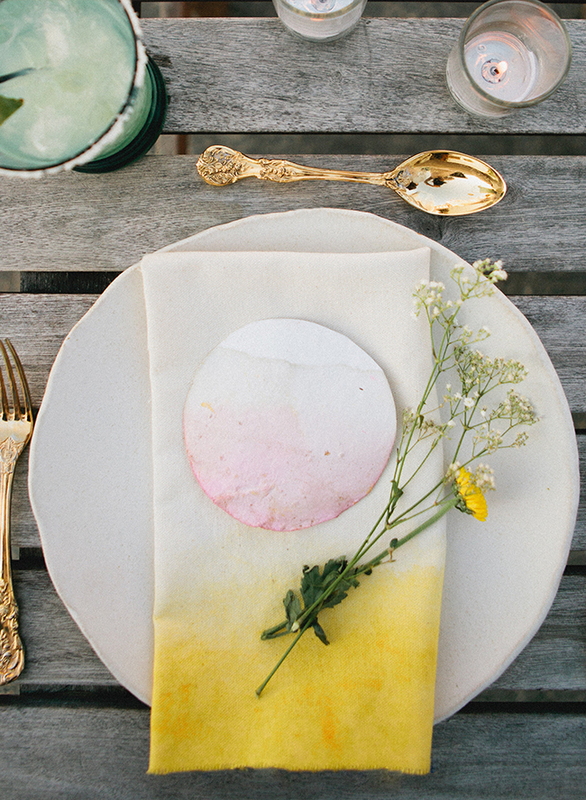 This way you can make any linens, not only napkins, so get inspired! 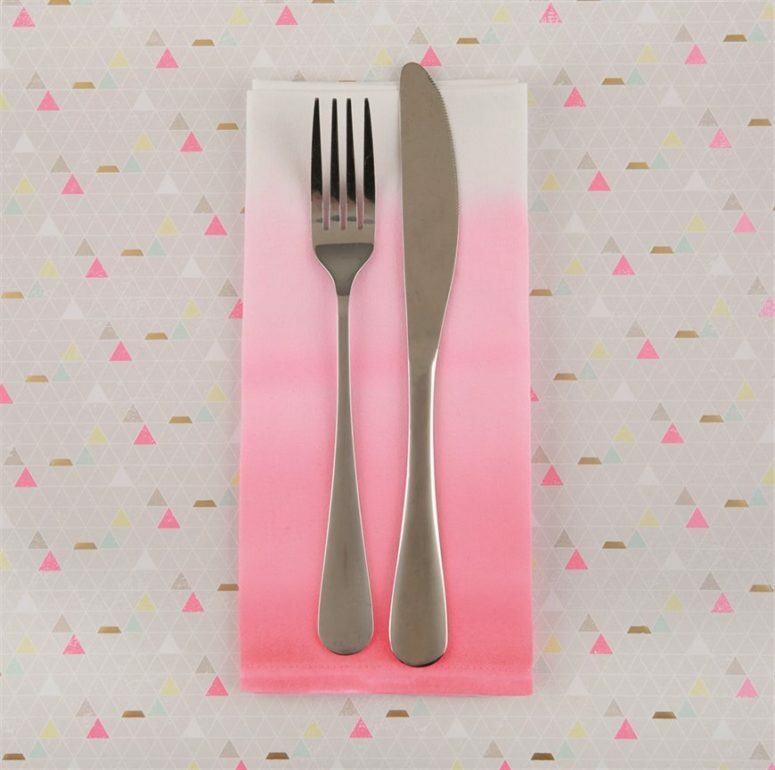 Bring the crafty mega-trend to your table with a fabric paint technique on a classic napkin. This project will tell you how to paint a usual napkin with a brush and paints making it super colorful and whimsy, with a hot ombre trend. The more accurately you paint, the cooler and softer the look will be, so train! You may also add a watercolor effect, which is another popular trend. I totally love the shade of this bold blue napkin! It was dyed in a jar using a simple dip dying method and usual fabric dye in the desired color. Add a touch of freshness to your table setting with dip dyed blue napkins! 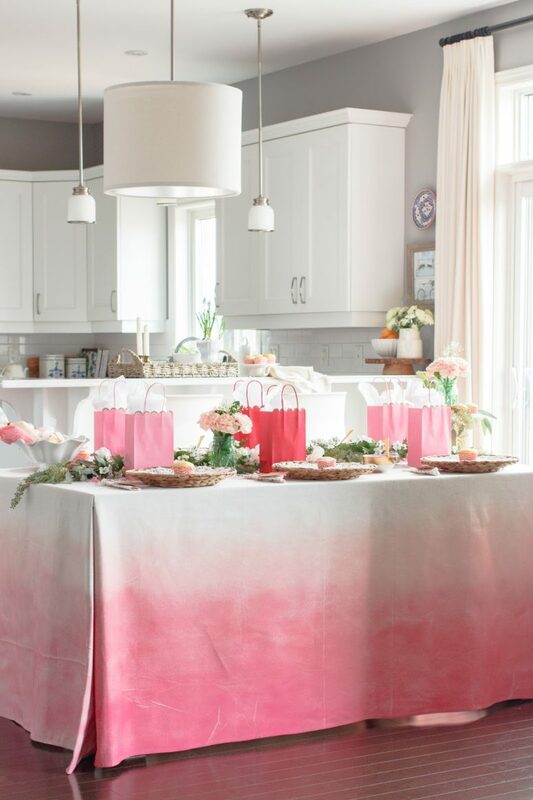 If you are planning a girls’ party, or a Valentine’s Day party, this bold ombre pink tablecloth is right what you need. The piece is made using spray paint – no dip dying, no paint splashes around, only a simple and fast craft. If you need some other colors, no problem – choose those that you like and go ahead! 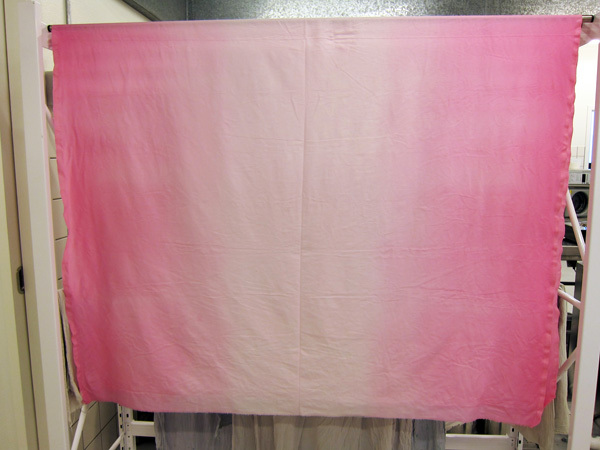 Here’s another pink ombre tablecloth – this color seems to be super popular now! This tutorial is for those who prefer the old and good dip dying. The whole idea is simple: adding fabric dye to the water and creating a cool look that you like. Dip dye the napkins, too! 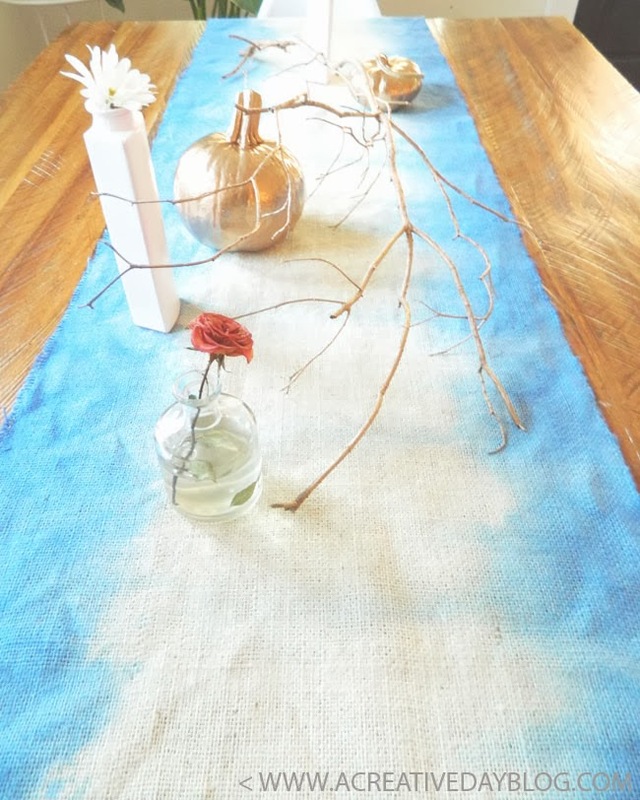 Create an amazing ombre blue burlap table runner! This one is made using the traditional dip dying technique and it’s not difficult to make – just take white burlap to keep the middle more neutral and create a cute color combo. It’s a nice idea for a rustic or a seaside interior or just to accent the dining table. 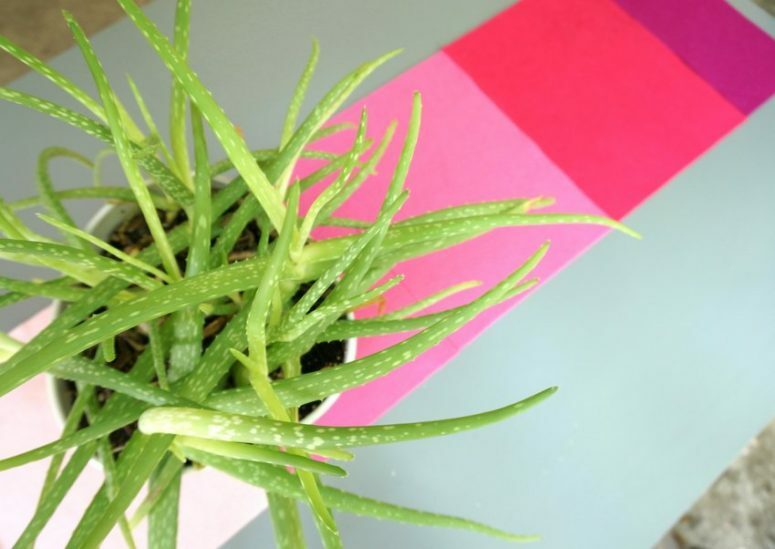 Create a cool ombre table runner with no dying and no painting! This one features a styled ombre effect without any subtlety or soft connection – it’s made of felt of different shades and looks very bold. Several shades of pink to fuchsia and white for a bold look – such an easy idea to rock!